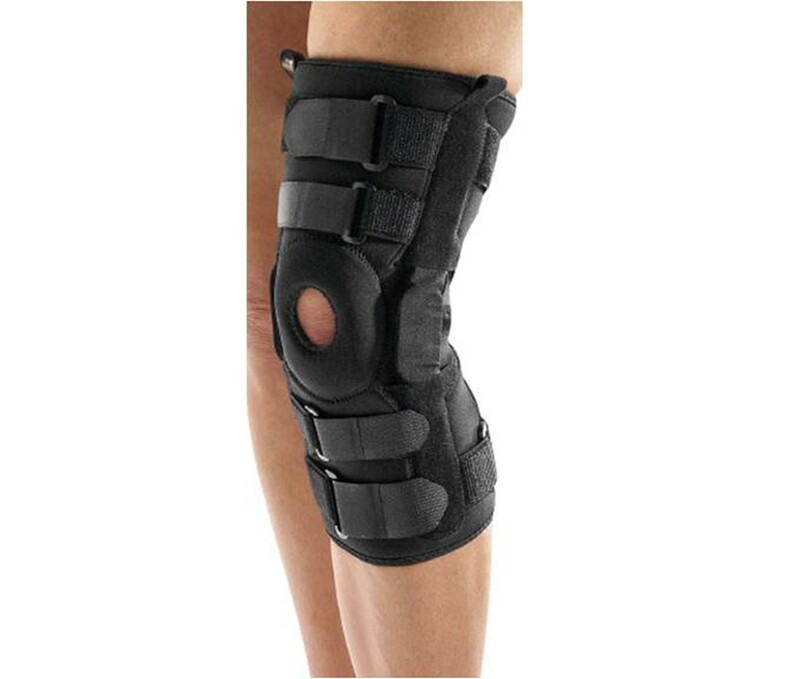 New functional knee brace targeted lateral and medial support. 6 independent straps providing adjustable compression. Protection, compression and support for knee sprains, mild to moderate ligament lesions, ligament instabilities, meniscus injuries, patella subluxation, laxity or misalignment, mild arthritic pain, return to mobility or sports activities. 6 independent straps (4 anterior and 2 posterior) allow compression levels to be adjusted according to needs. Take the measurement of your thigh and calf 6" above and below your kneecap using a flexible type tape measure. Use the circumference you measure here to choose your size.